Darren: Back in 1980/81, the Milk Race (Tour of Britain) passed through the next village to ours and my grandparents took me to watch. I was instantly hooked, it looked so cool to speed along like that with all the colour, noise and smells as well as the free paper hats. I managed to get hold of a race type bike that had been run over by a car, my grandad then helped me straighten it up, paint it and the put it back together, that was my first dropped bar bike. 2. You were racing in able bodied events before your accident? Darren: I’d been racing able bodied for about 7 years before my first accident. I just raced everything going; cyclo-cross, road, time trialing and track. I would have raced every day of the year if I could of. I’d raced abroad a fair amount and it was the junior Tour of Ireland when I overshot a bend on a descent, knocking a big wooden post out of the ground with my head. I fractured my skull and had two partial spinal lesions. I went on to fracture my skull twice more and do a fair bit more damage. 3. 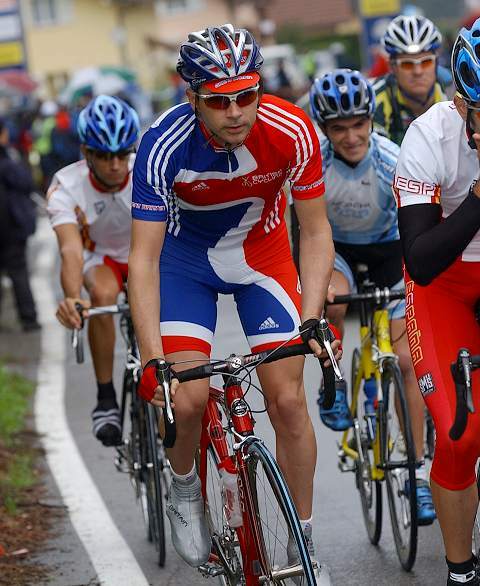 How long between the accident and you doing paracycling events? 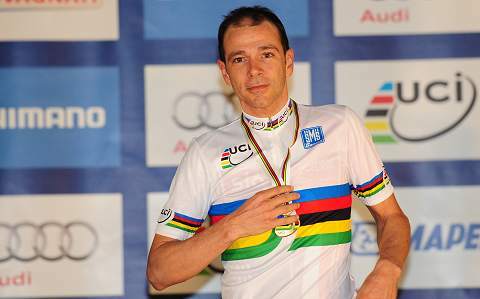 Darren: It was about 4 or 5 years after my last accident before I started Paracycling. To be honest ,I don’t think I’d even heard of paracycling before. 4. 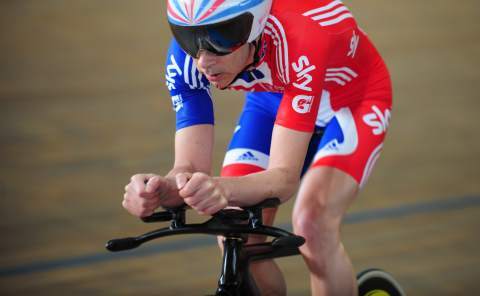 What were the highlights of the paracycling career with so many medals won? The first world title was when for instance? Darren: I think the first world title was 2005 in New York. I’m not very sentimental, they’re all just races and win or lose you’re still back to square one for the next race. 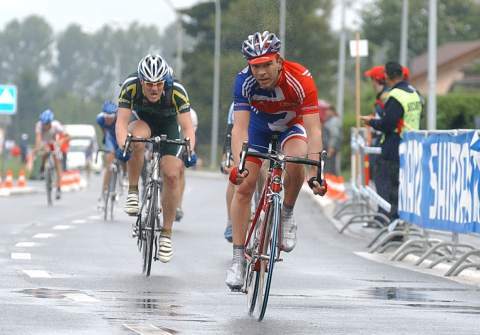 Having said that, having my coach Gary Brickley there when I won the road race in Beijing was quite special. The two of us going to Copenhagen to do the athlete’s hour record stands out too. 5. At what point did you think about having your brand of bike? 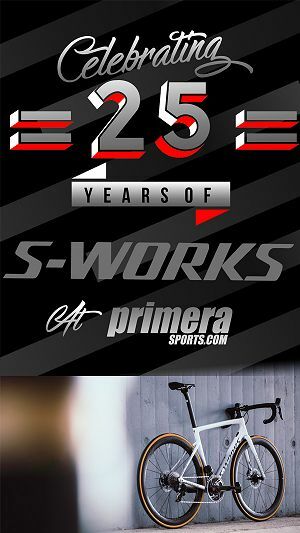 Darren: Way back in 1985/6, my partner now at Estrella Bikes, Rob and I made plans to start our own brand. We’ve tried to follow the same principles we came up with back then. We wanted to make a top quality bike, something really special, but without charging people the earth just because we can. We both worked for frame builders back then before going off on our separate paths for a while, getting the skills we now use. Rob in engineering working in F1 and for NASA amongst others. I started off Estrella in 2009 using some contacts I’d made while in Beijing and going to Rob for help with the more technical side. It was only about one offs as a hobby back then though and wasn’t until May 2015 that we decided to go full scale. Darren: The importance of having quality equipment that works and won’t let you down. 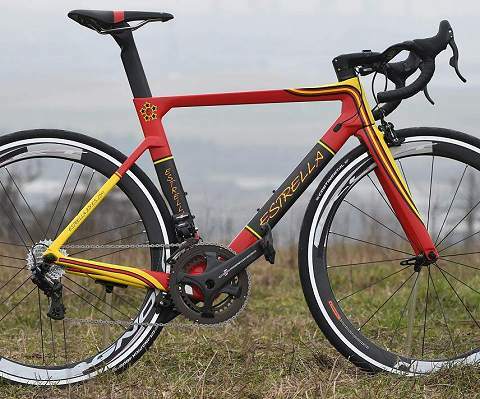 Doesn’t matter how light or aero a bike is, if it’s broken at the side of the road, its of no use. The other thing I’m really big on is fitting. You can’t enjoy a bike if you’re in discomfort. With longer rides, it’s all about who’s the least fatigued at the end and so we try to build in as much comfort as we can without losing performance. You can race crits or ride hours in the mountains equally well on our bikes. 7. What makes the Estrella range different to other brands? Darren: We focus on making the ride enjoyable above all else. For most people, it’s a hobby and so it’s supposed to be fun. We also have a big focus on customer service. We take a real interest in our customers and do everything we can to make sure they’re happy. Our prices are based on the actual costs too rather than just as much as we can get away with. Our core values are quality, affordability, customer service, classic style and mutual trust, hence the 5 stars in our logo (Estrella means Star in Spanish). 8. 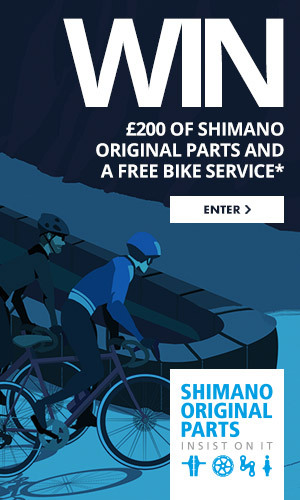 Is it complete bikes you sell or frames and bikes? Darren: There is the option to buy a frameset only but it’s quite rare. 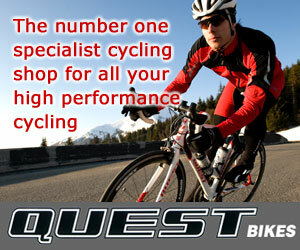 I’d say 98% of our sales are for complete bikes. 9. 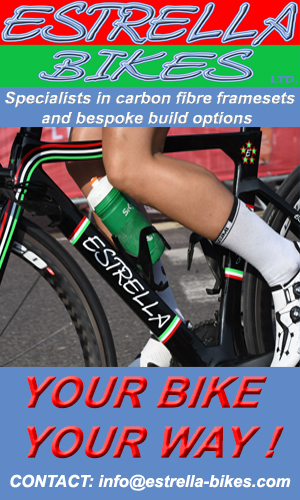 What is the key thing about bikes you have raced you feel is needed in a bike? Darren: I like a bike that gets the power down quickly. As soon as you press on the pedals, you can feel it move. I also need a good deal of comfort due to my condition which means I’m always in pain. Trying out new models and prototypes is the one time that my disability is an advantage, I’m very sensitive to small changes and to how stable and precise a bike rides. I tell Rob how I want it to ride and he works his magic with what’s under the paint! 10. You sponsored a women’s team in 2016, and we see Beth on your bike in the winter. What are the plans for 2017? Darren: Sponsoring the team last year was an amazing experience; totally loved it and loved being involved in a different side of the sport than I’m used to. Seeing how the riders have progressed through the year and seeing our bikes on TV etc has made it really worthwhile. They’ve shown just how good the bikes are too. we’re still working on what we’ll be doing in 2017 but we’ll definitely be in the peloton in some form or another. 11. 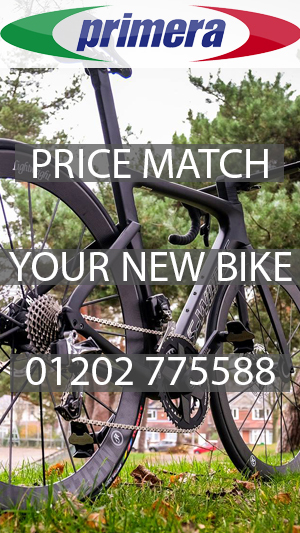 How does a rider choose which bike is best for them? Darren: We start with the end goal, and the budget of course and then narrow it down like that. Most customers have a good idea of what they want, whether that’s based on weight, performance or even colour scheme and it’s important to listen to them. 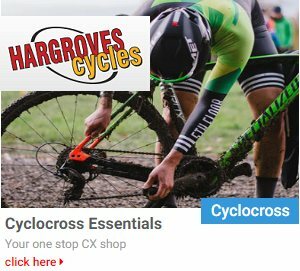 We have a good range so far and we also have some new exciting projects that we’re about to show off, everything from our top of the range Liso race bike to our CX/gravel bike, the Estrella Fangoso (Muddy Star). 12. the brand was launched in 2015, and you already have new products – tells us about the latest products? Darren: My personal favorite for 2017 is the new disc brake version of the Liso. It’s such a beautiful bike to ride it’s so smooth and handles so well, the feel of hydraulic brakes is lovely too and really helps me as my hands are a little dodgy! With having got the majority of my wins on the track, we’ve been working on a track frameset, this will be ready to go on sale this year. We also have something else quite special coming soon but that’s being kept secret for now. Watch this space ! !